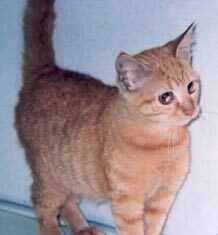 This weeks featured pet is a four and a half month old female orange tabby cat. She has big sparkling eyes and a personality to match! Like all the animals at the Harris County Rabies/Animal Control Shelter, she has been spayed and has all her shots. If you would like to adopt her, please visit the shelter at 602 Canino, west of the Hardy Toll Road. 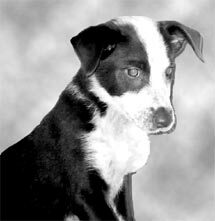 This weeks featured pet is a ten-week-old Shepherd, Hound mix. He is tan with a white muzzle and black brindling on top. 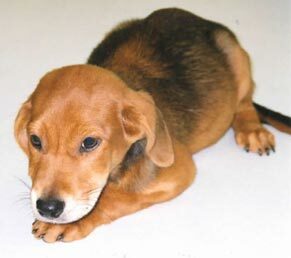 He has soulful brown eyes, big feet (hes going to be a big dog) and a playful and alert manner. He has been neutered and has had all of his puppy shots. If you would like to adopt him or any one of them or any one of the fine companion animals available for adoption, go to the Harris County Rabies/Animal Control shelter at 602 Canino just west of the Hardy Toll Road. 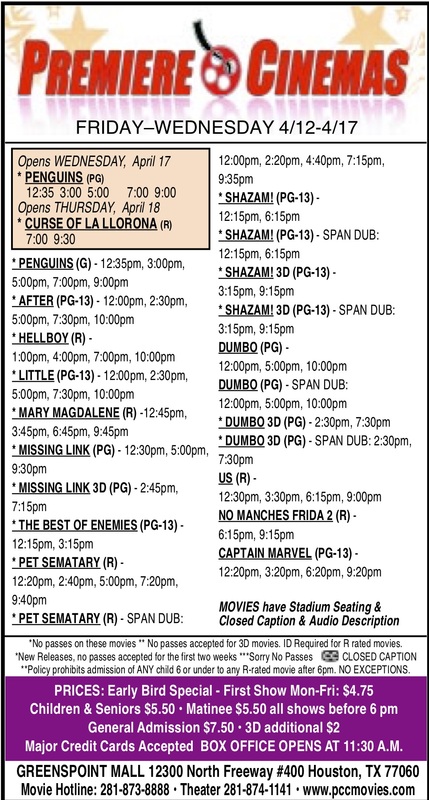 For hours and information, please call 281-999-3191. 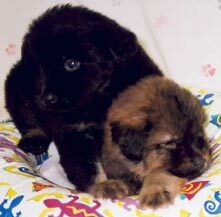 This weeks featured pets are brothers, two playful Chow mix puppies, about eight weeks old. One is black with tan accents on his legs and chest and the other tan with black accents in the same pattern. They have both been neutered and have had all of their puppy shots. To adopt one or both, go to the Harris County Rabies/Animal Control shelter at 602 Canino just west of the Hardy Toll Road. For hours and information, please call 281-999-3191. 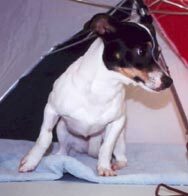 This weeks featured pet is a four year old female Rat Terrier mix. She is a petite young lady, neat, and sweet, with a slim aristocratic face and a smooth coat. She has been spayed, treated for heart worms and has had all her shots. If you would like to adopt her or any of the fine companion animals at the Harris County Rabies/Animal Control shelter, go to 602 Canino just west of Hardy, across from Melrose Park. For hours and information, please call 281-999-3191. 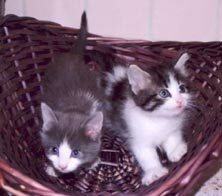 This weeks featured pet is actually 2 of 4 adorable siblings…fluffy, friendly little kittens, available for a limited time 2 for the price on 1! If you would like to adopt them or any of the other wonderful companion animals at the Harris County Rabes/Animal Control shelter go to 602 Canino just west of Hardy. For hours and information, call 281-999-3191. 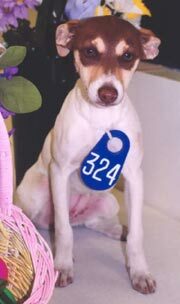 This weeks featured pet is a four and a half month old Rat Terrier with soft, expressive eyes, perky ears and a sweet, calm disposition. She is spayed and has had all her shots. If you would like to adopt her or any of the other wonderful companion animals at the Harris County Rabes/Animal Control shelter go to 602 Canino just west of Hardy. 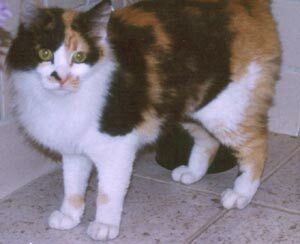 Today’s featured pet is a two and a half year old female Calico cat with soft fur and a sweet disposition. She has been spayed and has had all of her shots and tighy now you can adopt her and a friend for the price of one. If you would like to adopt her or any other wonderful companion animals at the Harris County Rabies / Animal Control shelter go to 602 Canino just west of Hardy. 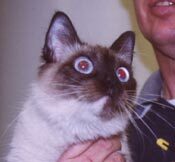 This weeks featured pet is a Female Sealpoint Simese kitty with soft, silky fur and incredible blue eyes. She is about a year old, has been spayed and micro-chipped, and has had all her shots. If you would like to adopt her or any of the other wonderful companion animals at the Harris County Rabes/Animal Control shelter go to 602 Canino just west of Hardy. For hours and information, call 281-999-3191. 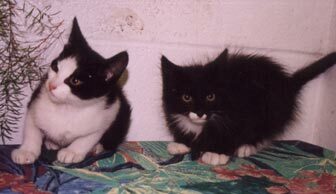 Todays featured pets are two of the many adorable kittens available for adoption. They are reverse images, one black and white…one white and black. They have been spayed and have had all their kitty shots. If you would like to adopt them or any of the other wonderful companion animals at the Harris County Rabes/Animal Control shelter go to 602 Canino just west of Hardy.